The Prime Minister, Shri Narendra Modi has condoled the passing away of former President of India, Dr. APJ Abdul Kalam. “India mourns the loss of a great scientist, a wonderful President and above all an inspiring individual. Rest in peace Dr. APJ Abdul Kalam. 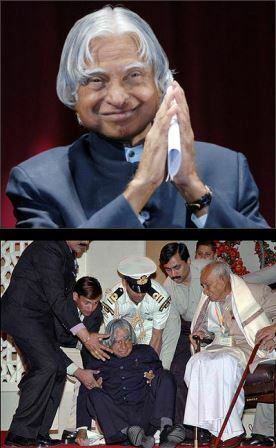 Dr. Kalam enjoyed being with people; people and youngsters adored him. He loved students and spent his final moments among them”, the Prime Minister said. Hamne Bharat Mata ke ek mahan spoot ko kho diya hai, unke bare mein jitna bhi kaha jayie utna kam hai. Jai Hind to this great spoot of India.